Washington, Jan 25 (IANS) A CNN anchor has apologized for a tweet in which he appeared to suggest that Indian-American Senator Kamala Harris, who announced her 2020 presidential bid earlier this week, needed to prove that she was born in the US. CNN’S Chris Cuomo said during an appearance on ABC News on Thursday that he “screwed up” and that the tweet, which he sent on Tuesday, was misinterpreted, reports The Hill magazine. Cuomo said on Thursday that his tweet was intended to make the point that Harris shouldn’t have to defend herself against those accusations. He added that he made his point “poorly”. “You don’t get to disparage people this way because of their race, because you don’t like what they represent,” he said. 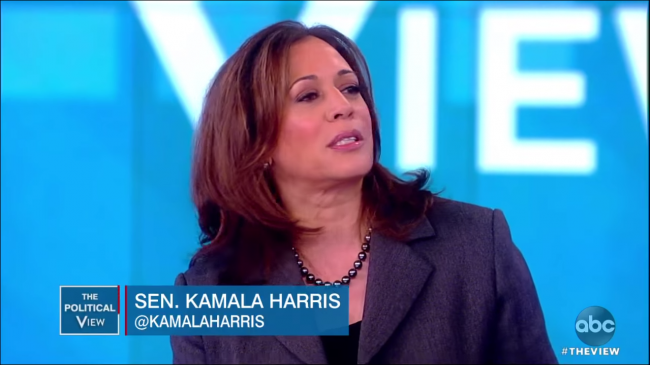 On Monday, Harris announced that she will seek the Democratic nomination for President in 2020. Harris, who became the first person of Indian-American descent to be elected to the Senate, will have to first win the Democratic Party nomination next year battling several candidates, including Tulsi Gabbard, the first Hindu elected to Congress, Senator Elizabeth Warren and former Housing Secretary Julian Castro.